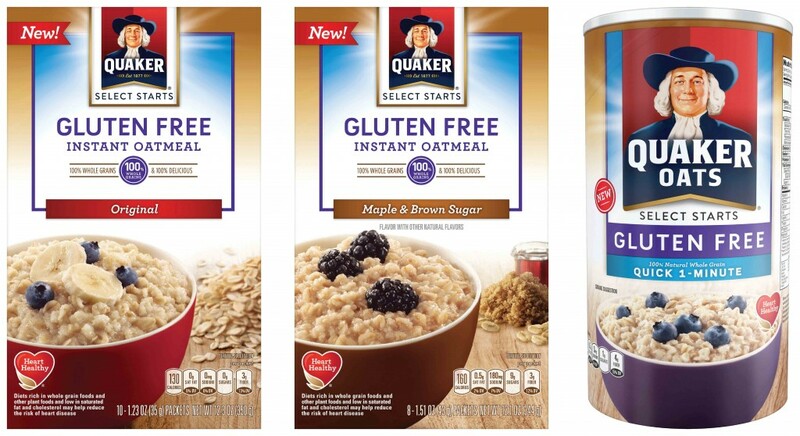 Quaker Oats in January will launch gluten-free oatmeal nationwide. Gluten-free products include Quaker Quick 1-Minute Oats and Quaker Instant Oatmeal in Original and Maple & Brown Sugar flavors. They are currently available in some Kroger and Walmart supermarkets. The oats are being optically and mechanically sorted to remove gluten-containing grains that commonly cross-contaminate oat crops. Use of optically and mechanically processed oats has been controversial in the gluten-free community, which previously only accepted so-called “pure oats” as safe in gluten-free products. Food and Drug Administration labeling rules that went into effect in August 2014 cleared the way for use of the processed oats in foods labeled gluten free. Lori Alexander, Quaker’s manager of nutrition sciences who has celiac disease, said the company’s gluten-free oats are sorted and separated from wheat, barley and rye based on density, color and length using a proprietary sorting protocol. The effectiveness of the removal system is backed up by multiple quality checks throughout the milling process, through finished product testing, according to the company. Alexander said technology was developed to look for grains that are not oats. Quaker buys the oats for both its regular and gluten-free oatmeal from the same farmers. The oats are then segregated according to the amount of gluten cross-contamination that remains. Those with the lowest amount then go through the mechanical and optical sorting before being made into gluten-free oatmeal. The company is working to meet the FDA’s gluten-free labeling standard of less than 20 parts per million of gluten, but the internal cut off has been set at 12 ppm, according to Alexander. The oatmeal does not have third-party independent certification, but Quaker is considering it. Cleaned groats, which are the grain kernels that remain after the inedible hull has been removed, are inspected, with the equivalent of 3,000 40-grams samples from each production run examined to determine if any remaining grains that may not be groats are present. If any single sample does not meet the company’s standard, the entire lot is rejected for use in gluten-free products and is used in other Quaker products that are not gluten free. The oats are kilned, cut and flaked on dedicated gluten-free equipment. Testing of finished product is done on 16 serving-size samples per lot, which equals no more than 12 hours of production. Composites of samples are not used in the testing process. All 16 of the samples must test at less than 12 ppm in order for the lot to pass and be released into the market. If any sample in the lot tests higher than 12 ppm, the entire lot is destroyed because the finished product can’t be repurposed, Alexander said. The gluten-free oat products are packaged on lines shared with gluten-containing quick and instant oats. Cleaning protocols are followed to prevent cross-contamination. All Quaker Oats gluten-free products are made at the company’s Cedar Rapids, Iowa, plant, which is the largest oat milling facility in the world. Quaker considered using “pure” oats, which are grown, transported and milled in a specific way to prevent cross-contamination but decided the oats would have to be cleaned anyway, Alexander said, adding that the increased cost of the “pure” oats was not a decisive factor. The company concluded the oats did not offer the “quality, taste and texture” associated with Quaker oats, she said. Offered as part of the Quaker Select Starts line, the gluten-free oatmeal packaging includes the familiar logo with the Quaker man. The gluten-free oatmeal is priced slightly higher than Quaker’s other oatmeal products. Want first access to articles like these? Sign up for our free e-newsletter to be the first to know about our newest gluten-free recipes, news, articles and more.